Richie Unterberger has been writing about little-known and well-known rock and popular music of all kinds for more than 25 years. 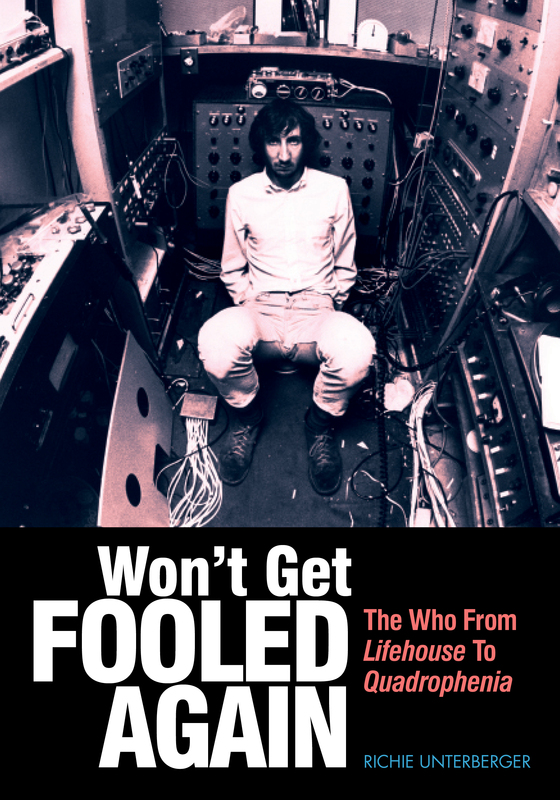 Of his eleven books, the most recent is Won't Get Fooled Again: The Who from Lifehouse to Quadrophenia, published by Jawbone Press in March 2011. It details the Who's amazing and peculiar journey in the years during the early 1970s in which they struggled to follow up Tommy with a yet bigger and better rock opera. Drawing on material from several dozen interviews and mountains of rare archival coverage and recordings, it's the definitive account of this fascinating period in the Who's career. 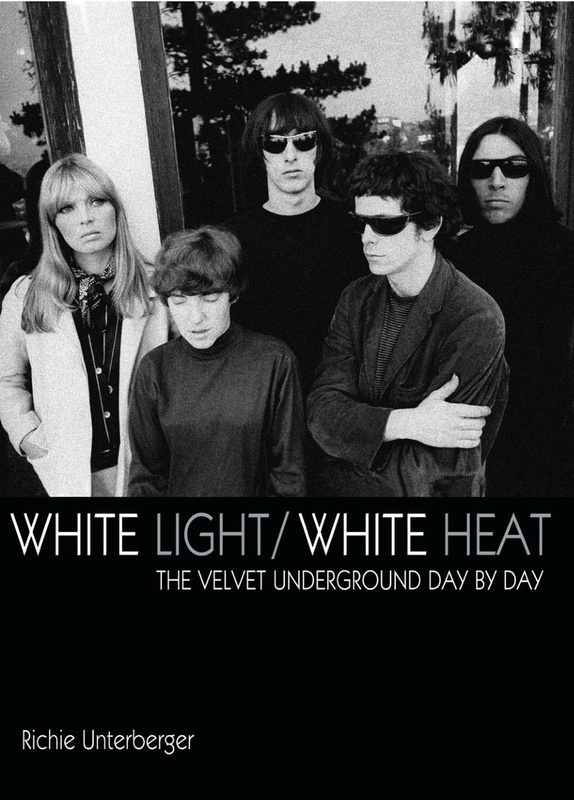 Also recently published is White Light/White Heat: The Velvet Underground Day-By-Day. Issued by Jawbone Press in 2009, this is the most comprehensive book ever written about this legendary and innovative group. The 368-page volume details the group's recording sessions, record releases, concerts, press reviews, and other major events shaping their career with both thorough detail and critical insight. Drawing on about 100 interviews and exhaustive research through documents and recordings rarely or never accessed, it unearths stories that have seldom been told, and eyewitness accounts that have seldom seen print, from figures ranging from band members to managers, producers, record executives, journalists, concert promoters, and fans. The July 2009 issue of MOJO magazine hails it as "an impressive means to reflect on the conundrum of what could be the ultimate cult band...detailed and anecdote-packed." Uncut magazine chose it as #4 in its list of the ten best music books of 2009. 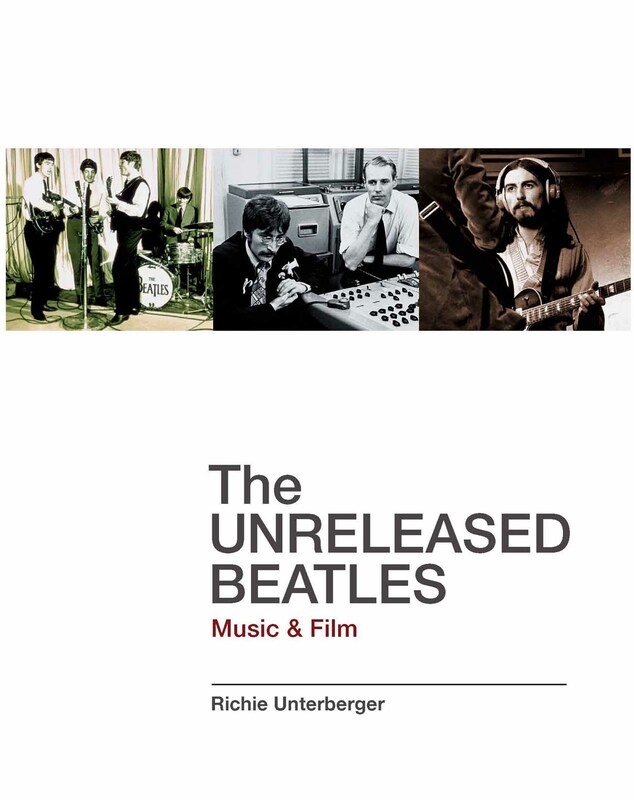 In 2006, Backbeat Books published his seventh book, The Unreleased Beatles: Music and Film, a mammoth 400-page, 300,000-word guide to the incredible wealth of music the Beatles recorded that they did not release, as well as musical footage of the group that hasn't been made commercially available. 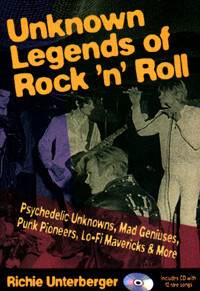 The book won a 2007 Association for Recorded Sound Collections Award for Excellence in Historical Recorded Sound Research in the "Best Discography" division of the "Best Research in Recorded Rock Music" category. 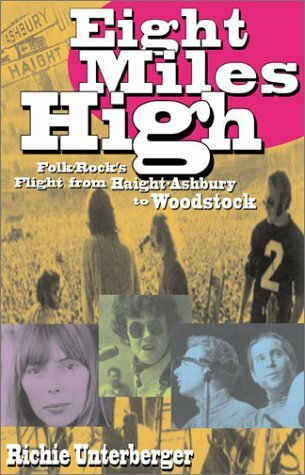 His sixth book, Eight Miles High: Folk-Rock's Flight from Haight-Ashbury to Woodstock (Backbeat, 2003), is the second book in a two-volume history of the 1960s folk-rock movement. Eight Miles High covers folk-rock from mid-1966 to the end of the 1960s, drawing on more than 100 first-hand interviews, as did its predecessor, Turn! Turn! Turn! 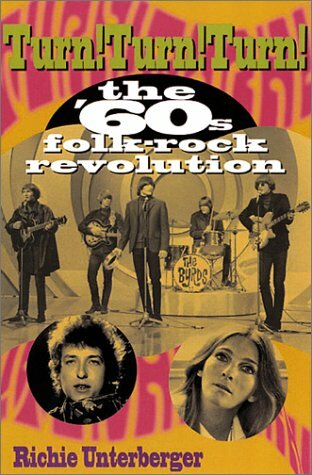 : The '60s Folk-Rock Revolution, which covers the history of folk-rock through mid-1966. His book Unknown Legends of Rock'n'Roll, published by Backbeat in 1998, profiled 60 underappreciated cult rock artists of all styles and eras. 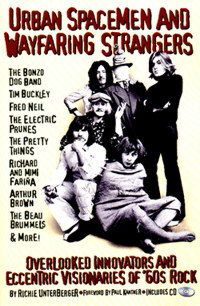 Its sequel, Urban Spacemen & Wayfaring Strangers: Overlooked Innovators and Eccentric Visionaries of '60s Rock, was published by Backbeat in the fall of 2000. Both of these books draw extensively upon first-hand interviews with the musicians profiled, as well as interviews with many of their close associates. These volumes cover important artists that have rarely been covered in depth in print, and have often rarely had the opportunity to tell their stories and put forth their perspectives. 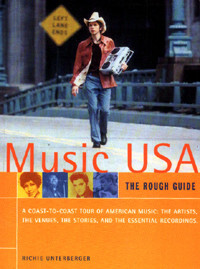 He is also author of The Rough Guide to Music USA, a guidebook to the evolution of regional popular music styles throughout America in the twentieth century; The Rough Guide to Jimi Hendrix; and the first two editions of the travel guidebook The Rough Guide to Seattle. Since 1993, he has been a prolific contributor to the All Music Guide, the largest on-line database of music biographies and album reviews, for which he has written thousands of entries. 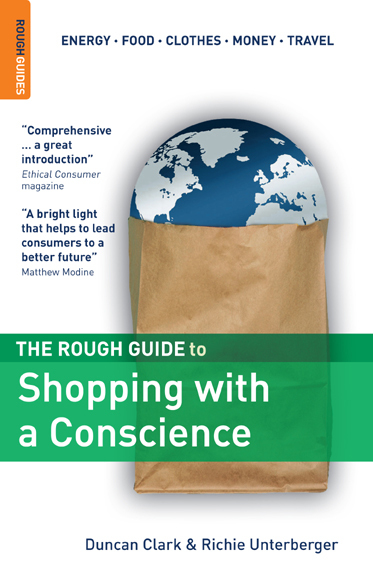 He is the co-author of The Rough Guide to Shopping with a Conscience, published by the Rough Guides in early 2007. He regularly presents events featuring rare rock films in the San Francisco Bay area and elsewhere, at public libraries and other venues. These include the main public libraries of San Francisco, Seattle, Portland Oregon, and San Jose, as well as the Andy Warhol Museum and the Library of Congress in Washington, DC. Organizations interested in having him present such events can contact him through this website. Since summer 2011, he's taught courses on the Beatles, the history of rock music from 1955-1980, and San Francisco 1960s rock for the College of Marin's community education program. He has also contributed travel and music pieces to various publications, including MOJO, Record Collector, Pulse, rollingstone.com, the San Francisco Bay Guardian, the Rough Guide to Rock, The Rough Guide Book of Playlists, the East Bay Express, 100 Albums That Changed Music, the Oxford American, the Daily Telegraph, No Depression, Ugly Things, Flashback, American Songwriter, and Perfect Sound Forever. He has written liner notes to several hundred CD reissues for the Collectors' Choice Music, Sundazed, Rhino, Shout Factory, Water, 4 Men With Beards, Sunbeam, Raven, Stax, Beatball, Real Gone, and Top Sail labels. He is among the journalists interviewed for recent film documentaries on the Byrds, Tim Buckley, Frank Zappa & the Mothers of Invention, the Doors, Neil Young, and the genesis of New York underground rock in the 1960s and 1970s. He has traveled to more than thirty countries, and is a passionate advocate of independent travel and alternative culture in general. He lives in San Francisco.